The Sakha (Yakutia) Republic (Russian: Республика Саха (Якутия), Respublika Sakha (Yakutiya); [rʲɪsˈpublʲɪkə sɐˈxa jɪˈkutʲɪjə]; Yakut: Саха Өрөспүүбүлүкэтэ, Saxa Öröspüübülükete, [saˈxa øɾøsˈpyːbylykete]) is a federal subject of Russia (a republic). 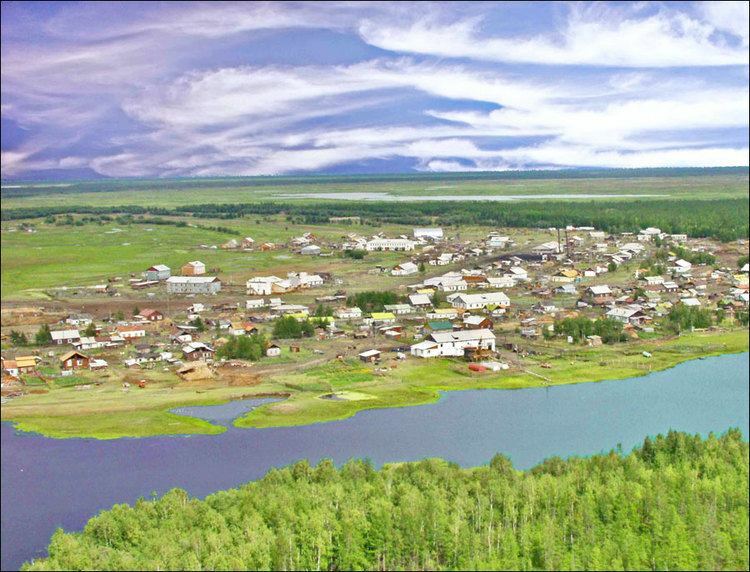 It has a population of 958,528 (2010 Census), consisting mainly of ethnic Yakuts and Russians. Comprising half of the Far Eastern Federal District, it is the largest subnational governing body by area in the world at 3,083,523 square kilometers (1,190,555 sq mi) and the eighth largest territory in the world, if the federal subjects of Russia were compared with other countries. It is larger than Argentina and just smaller than India which covers an area of 3,287,590 square kilometers (1,269,350 sq mi). Its capital is the city of Yakutsk. The Sakha Republic is one of the ten autonomous Turkic Republics within the Russian Federation. It is also well known for its extreme and severe climate, with the lowest temperatures in the Northern Hemisphere being recorded in Verkhoyansk and Oymyakon, and regular winter averages commonly being below −35 °C (−31 °F) in several population centres, including Yakutsk. The hypercontinental tendencies also result in very warm summers for much of the republic. internal: Chukotka Autonomous Okrug (660 km)(E), Magadan Oblast (1520 km)(E/SE), Khabarovsk Krai (2130 km)(SE), Amur Oblast (S), Zabaykalsky Krai (S), Irkutsk Oblast (S/SW), Krasnoyarsk Krai (W). Sakha stretches to the Henrietta Island in the far north and is washed by the Laptev and Eastern Siberian Seas of the Arctic Ocean. These waters, the coldest and iciest of all seas in the Northern Hemisphere, are covered by ice for 9–10 months of the year. New Siberian Islands are a part of the republic's territory. 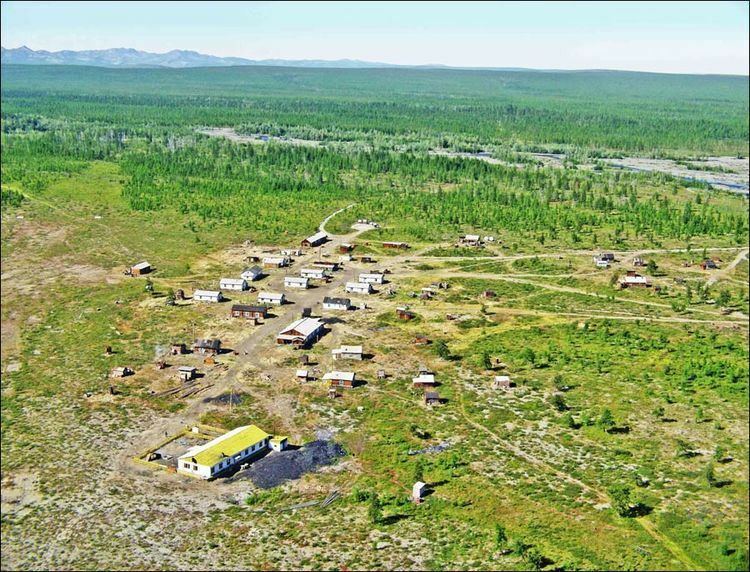 After Nunavut was separated from Canada's Northwest Territories, Sakha became the largest subnational entity (statoid) in the world, with an area of 3,083,523 square kilometers (1,190,555 sq mi), slightly smaller than the territory of India (3.3 million km2). Sakha can be divided into three great vegetation belts. About 40% of Sakha lies above the Arctic circle and all of it is covered by permafrost which greatly influences the region's ecology and limits forests in the southern region. Arctic and subarctic tundra define the middle region, where lichen and moss grow as great green carpets and are favorite pastures for reindeer. In the southern part of the tundra belt, scattered stands of dwarf Siberian pine and larch grow along the rivers. Below the tundra is the vast taiga forest region. Larch trees dominate in the north and stands of fir and pine begin to appear in the south. Taiga forests cover about 47% of Sakha and almost 90% of the cover is larch. The Sakha Republic is the site of Pleistocene Park, a project directed at recreating pleistocene tundra grasslands by stimulating the growth of grass with the introduction of animals which thrived in the region during the late Pleistocene — early Holocene period. Yakutsk Time Zone (YAKT, UTC+9). Covers the republic's territory to the west of the Lena River as well as the territories of the districts located on the both sides of the Lena River. Vladivostok Time Zone (VLAT, UTC+10). Covers most of the republic's territory located between 127°E and 140°E longitude. Districts: Oymyakonsky, Ust-Yansky, Verkhoyansky. Sakha's greatest mountain range, the Verkhoyansk Range, runs parallel and east of the Lena River, forming a great arc that begins in the Sea of Okhotsk and ends in the Laptev Sea. The Chersky Range runs east of the Verkhoyansk Range and has the highest peak in Sakha, Peak Pobeda (3,147 m). The second highest peak is Peak Mus-Khaya reaching 3,011 m.
The Stanovoi Range borders Sakha in the south. Sakha is well endowed with raw materials. The soil contains large reserves of oil, gas, coal, diamonds, gold, silver, tin, tungsten and many others. Sakha produces 99% of all Russian diamonds and over 25% of the diamonds mined in the world. Sakha is known for its climate extremes, with the Verkhoyansk Range being the coldest area in the Northern Hemisphere. Some of the lowest natural temperatures ever recorded have been here. The Northern Hemisphere's Pole of Cold is at Verkhoyansk, where the temperatures reached as low as −67.8 °C (−90.0 °F) in 1892, and at Oymyakon, where the temperatures reached as low as −71.2 °C (−96.2 °F) in 1926. 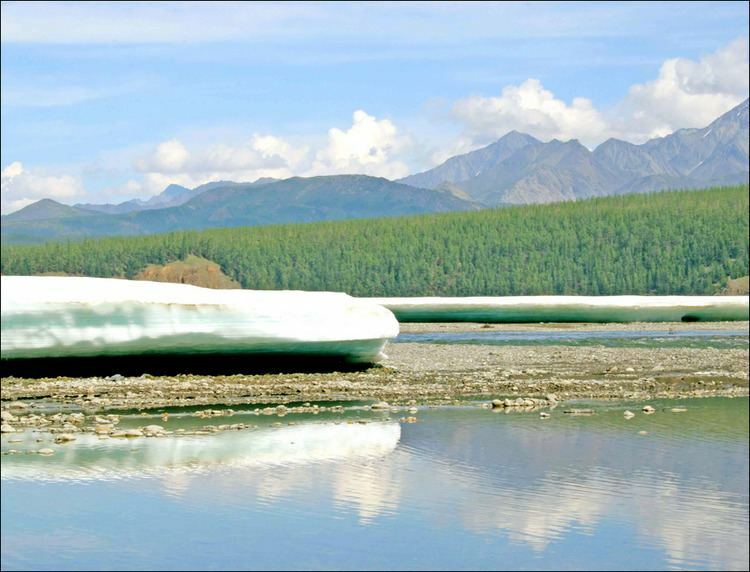 Siberia, in particular Yakutia, is of paleontological significance, as it contains bodies of prehistoric animals from the Pleistocene Epoch, preserved in ice or permafrost. In 2015, the frozen bodies of Dina and Uyan the cave lion cubs were found. The region was also host to the bodies of Yuka and another Woolly mammoth from Oymyakon, a Woolly rhinoceros from the Kolyma River, and bison and horses from Yukagir. The Turkic Sakha people or Yakuts probably settled in the area in the 13th and 14th centuries, migrating north from the Lake Baikal area to the middle Lena. From their new center along the middle Lena they gradually expanded northeast and west beyond the Lena basin towards the Arctic Ocean. The name Sakha is of Turkic origin, "saqa-saha" meaning "cue" or "bat". The term yakut is a Turkic word, a corruption of zhaqut - yakut "precious stone", referring to the ruby. The Sakha displaced earlier, much smaller populations who lived on hunting and reindeer herding, introducing the pastoralist economy of Central Asia. The indigenous populations of Paleosiberian and Tungusic stock were mostly assimilated to the Sakha by the 17th century. The Tsardom of Russia began its conquest of the region in the 17th century, moving east after the defeat of the Khanate of Sibir. Tygyn, a king of the Khangalassky Yakuts, granted territory for Russian settlement in return for a military pact that included war against indigenous rebels of all North Eastern Asia (Magadan, Chukotka, Kamchatka and Sakhalin). Kull, a king of the Megino-Khangalassky Yakuts, began a Sakha conspiracy by allowing the first stockade construction. In August 1638, the Moscow Government formed a new administrative unit with the administrative center of Lensky Ostrog (Fort Lensky), the future city of Yakutsk, which had been founded by Pyotr Beketov in 1632. The arrival of the Russian settlers at the remote Russkoye Ustye in the Indigirka delta likely also dates to the 17th century. The Siberian Governorate was established as part of the Russian Tsardom in 1708. Russian settlers began to form a community in the 18th century, which adopted certain Yakut customs and was often called Yakutyane (Якутя́не) or Lena Early Settlers (ленские старожилы). However, the influx of later settlers assimilated them into the Russian mainstream by the 20th century. In an administrative reform of 1782, Irkutsk Governorate was created. In 1805, Yakutsk Oblast was split from Irkutsk Governorate. Yakutsk Oblast in the early 19th century marked the easternmost territory of the Russian Empire, including such Far Eastern (Pacific) territories as were acquired, known as Okhotsk Okrug within Yakutsk Oblast. With the formation of Primorskaya Oblast in 1856, the Russian territories of the Pacific were detached from Yakutia. The Russians established agriculture in the Lena River basin. The members of religious groups who were exiled to Sakha in the second half of the 19th century began to grow wheat, oats, and potatoes. The fur trade established a cash economy. Industry and transport began to develop at the end of the 19th century and in the beginning of the Soviet period. This was also the beginning of geological prospecting, mining, and local lead production. The first steam-powered ships and barges arrived. 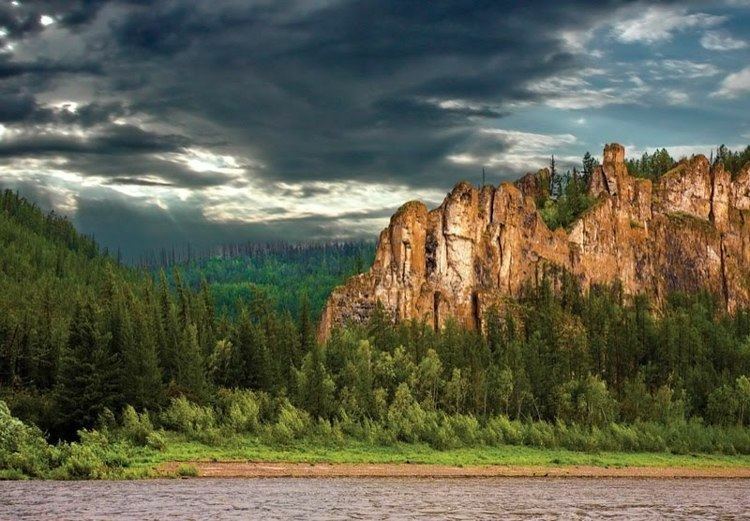 Yakutia's remoteness, even compared to the rest of Siberia, made it a place of exile of choice for both Czarist and Communist governments of Russia. Among the famous Tsarist-era exiles were the democratic writer Nikolay Chernyshevsky, Doukhobor conscientious objectors (whose story was told to Leo Tolstoy by Vasily Pozdnyakov), the Socialist Revolutionary and writer Vladimir Zenzinov, who left an interesting account of his Arctic experiences, and Polish socialist activist Wacław Sieroszewski who pioneered in ethnographic research on Yakut people. On 27 April 1922, former Yakutsk Oblast was proclaimed the Yakut ASSR, although in fact the eastern part of the territory, including the city of Yakutsk, was controlled by the White Russians (see Yakut Revolt). In 1992, after the fall of the Soviet Union, Yakutia was recognized in Moscow as the Sakha (Yakutia) Republic under the jurisdiction of the Russian Federation. Yakutia is historically part of Russian Siberia, but since the formation of the Far Eastern Federal District in 2000, it is administratively part of the Russian Far East. Population: 958,528 (2010 Census); 949,280 (2002 Census); 1,081,408 (1989 Census). 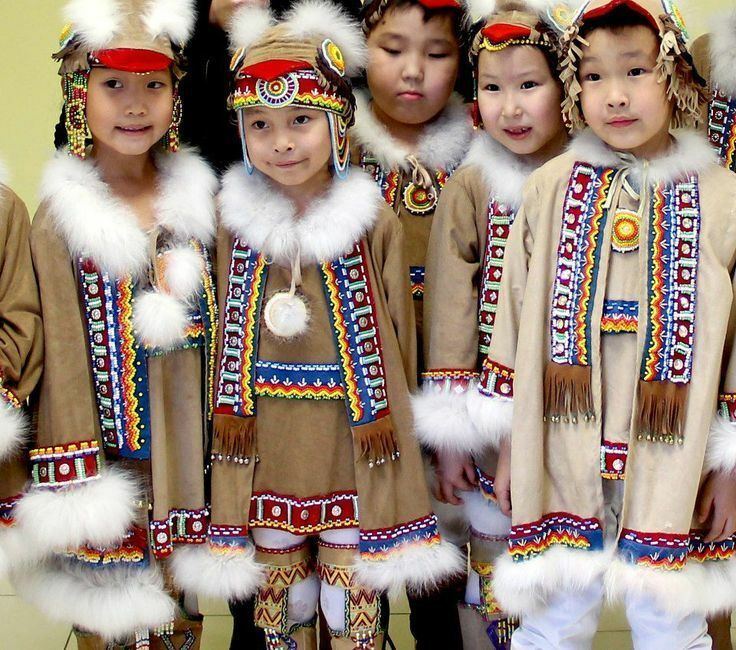 The official languages are both Russian and Sakha, also known as Yakut, which is spoken by approximately 40% of the population. The Yakut language is a member of the Turkic language family. Before the arrival of the Russian Empire, the majority of the local population believed in Tengrianism common to Turkic-language people of Central Asia, or in Paleoasian indigenous shamanism with both 'light' (community leading) and 'dark' (healing through spirit journey) shamans. Under the Russians, the local population was converted to the Russian Orthodox Church and required to take Orthodox Christian names, but in practice generally continued to follow traditional religions. During the Soviet era, most or all of the shamans died without successors. In the 1990s, a neopagan shamanist movement called aiyy yeurekhé was founded by the controversial journalist Ivan Ukhkhan and a philologist calling himself Téris. This group and others cooperated to build a shaman temple in downtown Yakutsk in 2002. Currently, while Orthodox Christianity maintains a following (however, with very few priests willing to be stationed outside of Yakutsk), there is interest and activity toward renewing the traditional religions. As of 2008, Orthodox leaders described the world view of the republic's indigenous population (or, rather, those among the population who are not completely indifferent to religion) as dvoyeverie (dual belief system), or a "tendency toward syncretism", as evidenced by the locals sometimes first inviting a shaman, and then an Orthodox priest to carry out their rites in connection with some event in their life. According to the Information Center under the President of Sakha Republic (Информационный центр при Президенте РС(Я)), the religious demography of the republic was as follows: Orthodoxy: 44.9%, Shamanism: 26.2%, Non-religious: 23.0%, New religious movements: 2.4%, Islam: 1.2%, Buddhism: 1.0%, Protestantism: 0.9%, Catholicism: 0.4%. According to a 2012 survey 37.8% of the population of Yakutia adheres to the Russian Orthodox Church, 13% to Tengrism or Yakut shamanism, 2% to Islam, 1% are unaffiliated generic Christians, 1% to forms of Protestantism, and 0.4% to Tibetan Buddhism. In addition, 26% of the population deems itself atheist, 17% is "spiritual but not religious", and 1.8% follows other religions or did not give an answer to the question. In 2014 a trend was noticed by the Orthodox Church: Following the translation of the Bible into the native language, the number of natives who practiced Christianity rapidly increased. Previously the growth of the Orthodox Church among native Yakuts was limited by the fact that church services were conducted only in Russian. The head of government in Sakha is the Head (previously President). The first Head of the Sakha Republic was Mikhail Yefimovich Nikolayev. As of 2010, the president is Yegor Borisov, who took office on 31 May 2010; his vice president is Evgeniya Mikhailova. The supreme legislative body of state authority in Sakha is a unicameral State Assembly known as the Il Tumen. The government of the Sakha (Yakutia) Republic is the executive body of state authority. The republic fosters close cultural, political, economic, and industrial relations with the independent Turkic states through membership in organizations such as the Turkic Council and the Joint Administration of Turkic Arts and Culture. Industry generates slightly above 50% of the gross national product of Sakha, stemming primarily from mineral exploitation. Industrial enterprises are concentrated in the capital Yakutsk, as well as in Aldan, Mirny, Neryungri, Pokrovsk, and Udachny. The diamond, gold and tin ore mining industries are the major focus of the economy. Uranium ore is beginning to be mined. Turkic-language Sakha are in politics, government, finance, economy and cattle-breeding (horses and cows for milk and meat). The Paleoasian indigenous peoples are hunters, fishermen, and reindeer herders. As of 2008, Sakha Republic is the 19th most developed federal subject in Russia. Water transport ranks first for cargo turnover. There are six river ports, two sea ports (Tiksi and Zelyony Mys). Four shipping companies, including the Arctic Sea Shipping Company, operate in the republic. The republic's main waterway is the Lena River, which links Yakutsk with the rail station of Ust-Kut in Irkutsk Oblast. Two federal roads pass the republic. They are Yakutsk–Skovorodino (A360 Lena highway) and Yakutsk–Magadan (M56 Kolyma Highway). However, due to the presence of permafrost, use of asphalt is not practical, and therefore the roads are made of clay. When heavy rains blow over the region, the roads often turn to mud, sometimes stranding hundreds of travelers in the process. The Berkakit–Tommot railroad is currently in operation. It links the Baikal Amur Mainline with the industrial centers in South Yakutia. Construction of the Amur Yakutsk Mainline continues northward; the railway was completed to Nizhny Bestyakh, across the river from Yakutsk, in 2013. Though this one track railroad from Tommot to Nizhny Bestyakh is under temporary operation (30% of its full capacity), the main customer - the Federal agency for railways declared that this railroad will be in full operation in fall of 2015. Also the private company is now constructing the transport and logistic center in Nizhny Bestyakh. The most important facilities of higher education include North-Eastern Federal University (previously Yakutsk State University) and Yakutsk State Agricultural Academy. The cultural life of Yakutsk is constantly developing. The State Russian drama theatre named after A. S. Pushkin; the Sakha Theater named after P. A. Oiyunsky; the State Academic Opera and Ballet Theatre named after D. K. Sivtsev; and Suorun Omoloon, Young Spectator's Theatre are all points of interest in the city. There are a number of museums as well. These include the National Fine Arts Museum of Sakha, the Museum of Local Lore and History named after E. Yaroslavsky, and the Khomus Museum and Museum of Permafrost.